How do you make a body scrub a little more interesting? 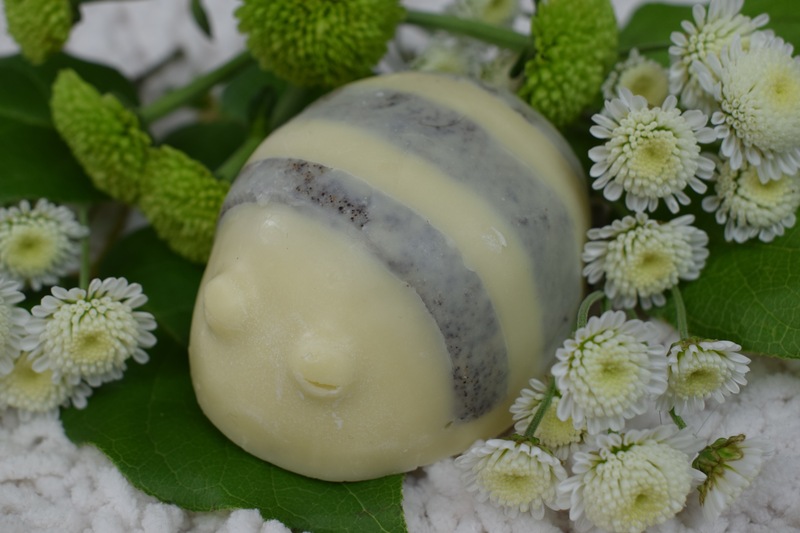 Combine in with a body butter and make it in the shape of a Bee! I personally think that the Scrubee body butter is one of the best designs that Lush has created so far this year! I firstly love having a multi purpose product and love that the Scrubee is both a body scrub and a body butter. I love that it is in a solid format which makes it great for travel and also makes it really easy to use and I adore how cute the design actual is, it look so beautiful sat in your bathroom. 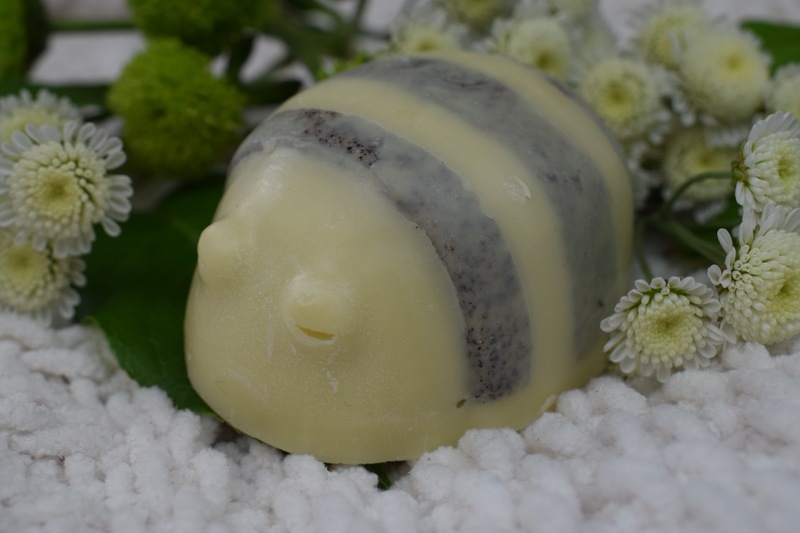 I was very happy to find that the Scrubee shares its scent with the Honey I Washed The Kids scent. 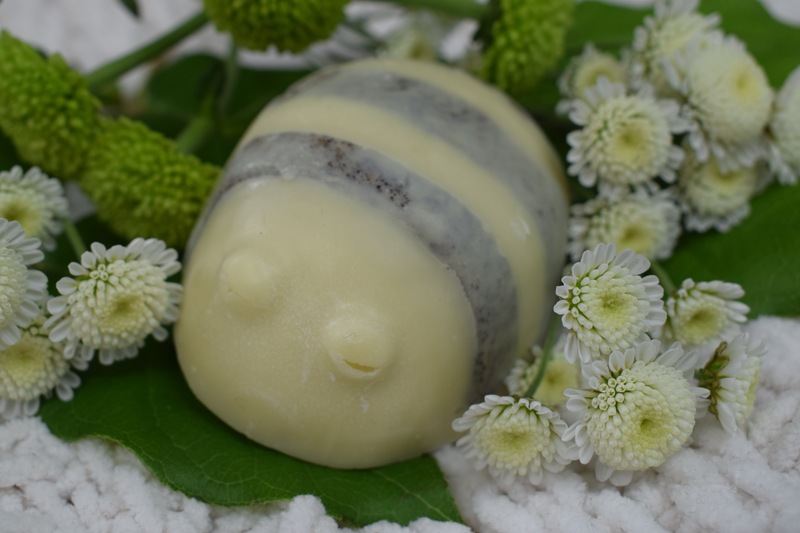 Containing a very good helping of honey, orange oil and plenty of cocoa butter and Shea butter the Scrubee has a scent that is both sweet and creamy. It’s a very warming creamy toffee scent and is one of my all time favourite Lush scents. I really do like that after using the Scrubee is leaves a lovely subtle creamy scent on your skin which could be smelt for such a long time after use. The Scrubee is very easy to use, the shape of this product means it fits very well into your hand and all your have to do is sweep the Scrubee over your skin. Containing ground coconut shell and ground almonds this scrub has quite a kick. I personally enjoy quite a rough scrub so loved this product. I really like the fact that unlike scrubs that has quite large particles which can be very harsh and painful the Scrubee have very fine exfoliating particles which makes the scrub a lot more comfortable to use. I personally like to use circular motions when using this scrub and pay particular attention to any area such as my knees and ankles that have slightly rougher skin. The fact that this scrub is also a body butter means that as your sweep the scrub over your skin not only does it release its exfoliating powers it also leave a layer of oils and butter on your skin which in turn helps to moisturise your skin. I found that I defiantly didn’t need to use any form of body lotion of moisturiser after using the Scrubee. Overall I am so impressed with the Scrubee, I love its scent and cute design. The use of coconut shell also makes this one of my favourite exfoliating products ever. Have you tried the Scrubee? This is the only thing i wanted from the mothers day range, its so cute!